Two Norfolk Broads holiday companies Herbert Woods and Crown Travel Limited have today announced that the directors of both companies have entered into a transaction whereby Herbert Woods will purchase 30 of the ‘Admiral’ and ‘Emperor’ cruisers currently operated under the Le Boat brand name. The ‘Admiral’ and ‘Emperor’ cruisers were originally built by Porter and Haylett, in Wroxham, and formed part of their successful Connoisseur fleet. Sleeping 4 to 6 and 6 to 8 respectively both styles of cruiser feature central steering positions and central saloon with sliding canopy. The low level design of these boats makes them ideal for passing underneath the low Broads bridges. 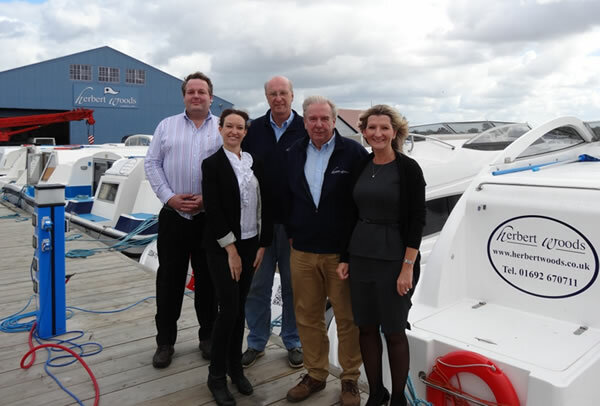 The acquisition of these boats will see the Herbert Woods fleet increase in size from 123 boats to 153 however the aim of the transaction was not to grow the overall size of Herbert Woods fleet. “The acquisition of these cruisers has given us a fantastic opportunity to enhance our existing fleet with 30 cruisers of a modern and original design. However, we have no intention to expand the overall size of our fleet in the long term and as a result we will be selling an equal number of the existing Herbert Woods fleet over the next two years.” said Michael Whitaker, Partner at Herbert Woods.